Projects, jobs, experiences, the occasional fun thing. Anything that didn't really fit anywhere else. I'm currently editor for Ravi Teixeira’s webcomic What Happened To Us, about being black and gay at the end of the world. I hosted a podcast alongside Valerie Senavsky for the Listening Spaces Project discussing live performance spaces and how audiences are considered in the process of creating and curating a performance venue. We interviewed Liz Berlin of Rusted Root fame to talk about her experiences as owner of Mr. Smalls Theatre, and Lou Ickes as owner of Brillobox Bar and Lounge, both located in the Pittsburgh, PA area. Listen to the podcast here. I was Record Librarian and a regular DJ at WRCT Pittsburgh from September 2017-May 2018. I hosted weekly library hours, where I and several other station members kept our record library neat and organized. I also hosted a weekly show titled Leg Day. I have served as booth chair for Carnegie Mellon's annual Fresh Check Day since its inception. I am the booth chair for an LGBT+/self-acceptance themed booth called Be Yourself. I am in charge of creating and organizing a booth that allows students to take a moment out of their busy days and work towards both self-acceptance and acceptance of others on campus. I interned at 99.5 WCRB, Classical Radio Boston, in the summer of 2017. I was primarily in charge of a large-scale library organization project, in which I catalog information from assorted CDs into a large database. I also assisted with several projects pertaining to radio events, such as finding music by certain composers or from specific eras which would sound good on the radio and mesh with the rest of the stations programming. 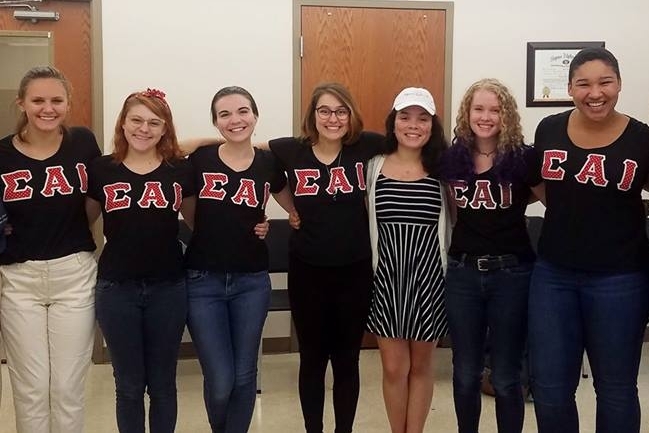 I currently serve as the Vice President, Ritual of the Alpha Mu chapter of Sigma Alpha Iota. I have been a member since 2015 and have previously served as Sergeant-at-Arms and as Service Chair. My current duties involve ensuring all SAI rituals happen smoothly and respectfully. Beyond that, I typically run sound for every event we do, including a yearly male pageant and a jazz cafe benefitting Alumni Theater Company which won the Collegiate Service Project Award in 2017 for Category III. I have also helped run and organize several Preview Parties, which are activities and performances that we host prior to CMU Philharmonic events. I organized and hosted a recital of my own works on March 24, 2017. 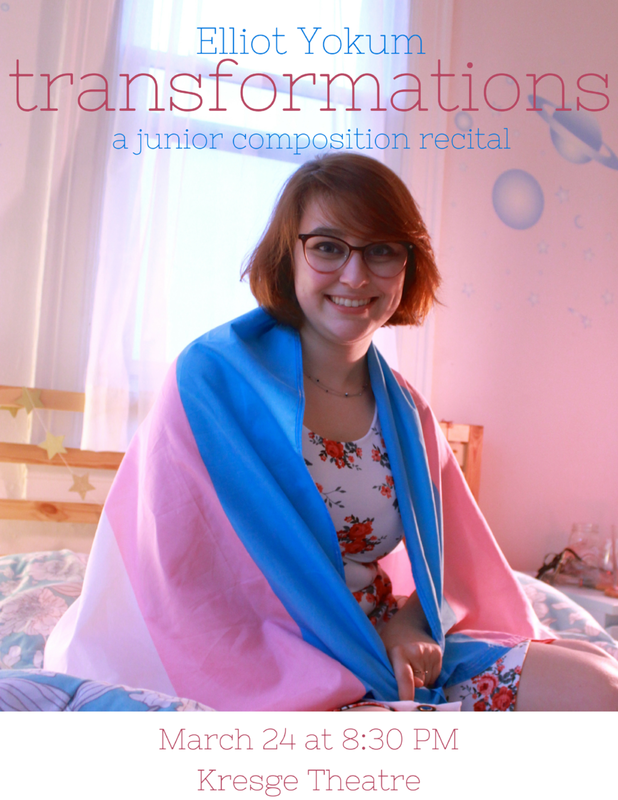 This recital was themed around growing up, learning self-love, and changes in identity and friendships. Four of my pieces were performed: Strangers, Again; On Divinity; Black Feathers (which featured two dancers as well as the pianist); and Shel Silverstein Songs. Video of this performance can be found on my compositions page.